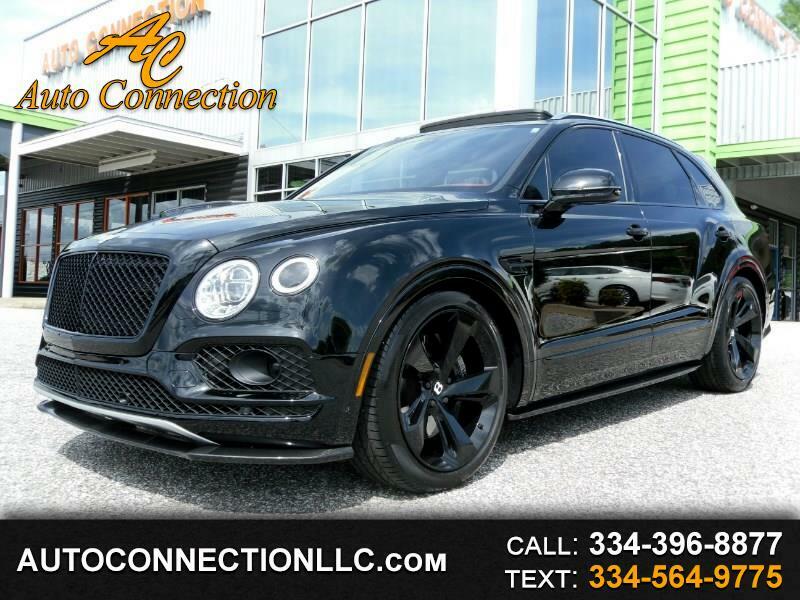 2018 BENTLEY BENTAYGA BLACK EDITION! Beluga over Beluga\Hotspur leather with Piano Black Veneer trim, MULLINER Driving Specification with BLACK Specification, TOURING Specifications, Front Seat Comfort Specification, Embroidered Bentley Wing Emblems, MOOD LIGHTING, Bentley DYNAMIC Ride, ALL TERRAIN Specification, Adaptive cruise control, Head-up display Bentley safeguard, Lane assist, Traffic assist, Blind Spot assist, Night vision, Bentley Signature Audio 700W, roof rails, rear privacy glass, and much more! Excellent Condition! Carfax Certified!